Your septic system gets terribly unnoticed. Until, of course, a problem crops up. When this happens, it becomes important to quickly address the situation. Septic systems are designed to handle all kinds of bacteria and other hazardous substances that can put your health and safety at risk, if left untreated. Do not hesitate to call us for emergency septic repair in Black Diamond. We can handle whatever emergency septic repair needs you may have. Our emergency septic repair team will treat you and your property with respect from start to finish. Most property owners neglect a key component of septic maintenance: septic pumping. While this may not be an exciting service to spend money on, it could save you a lot of money in the long run. It is recommended that you have your septic tank pumped and cleaned every 3 to 5 years. 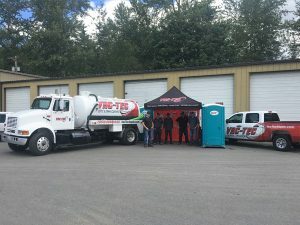 However, the size of the tank, usage, and number of occupants in the property is what determines how long you can wait to get septic tank pumped. Unfortunately, most people wait until there is an issue before they have their tank pumped. If you need an emergency septic pumping & cleaning in Black Diamond or the nearby areas, give us a call. 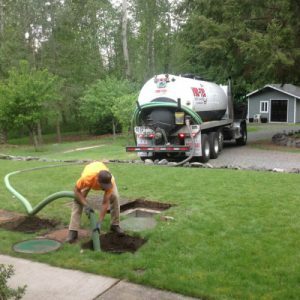 For more information on our emergency septic pumping & cleaning in Black Diamond, call VAC-TEC LLC today at (206) 339-0039. We are available 24/7.